January 31st, the deadline for tax returns, is fast approaching. Although this is a time that most of the general population would happily forget, it is something that we are required to do. However theimagefile has a way to make it a little bit easier. We have a tool to help you at least get some of the figures you need ready and save you some rummaging time. This tool allows you to calculate your income from all your online sales and then gives a breakdown of all the relevant information. Note: All numbers and dates displayed in the screenshots are examples. Your numbers and dates will be different. To start go to My Sales > Reports > Sales History. Scroll to the bottom of the page and enter the correct data in to the filter fields. “Limit To” should be set to “All Items (no withdrawal feature)”. This is to ensure that you capture all the data for the selected period. “Start Date”. 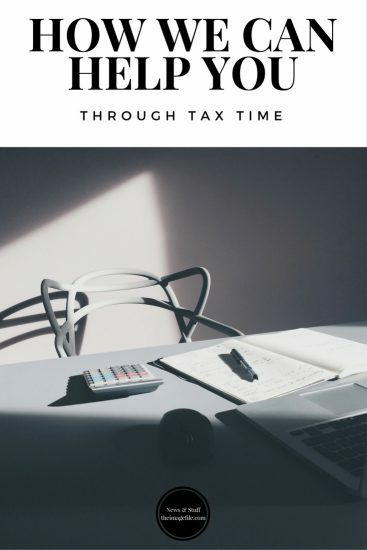 Set this to the first day of your tax year; for example if you are a sole trader in the UK this could be 6 April of the tax year. You can either enter the date in the format “YYYY-MM-DD” or alternately, click into the date field and select the date using the calendar. Make sure you are in the correct year! “End Date”. Set this to the last date of the tax year. You can either enter the date or use the calendar tool (just like with the start date). Again, make sure you are in the correct year! Click the “Filter View” button. You will now see all your sales within that time period. Click the link “abbreviated CSV”. You will now see the list of totals for that time period. Your earnings, costs as well as a summary of all subscriptions charges for that period will be displayed. For a more detailed look at the figures, hold your mouse over the title (e.g. “Earnings-Type: Transactions”). You can make your accounting more accurate by deleting any test orders that you have made in the past. Include “External Invoices” in your sales history. You can load invoices into the system for tracking. 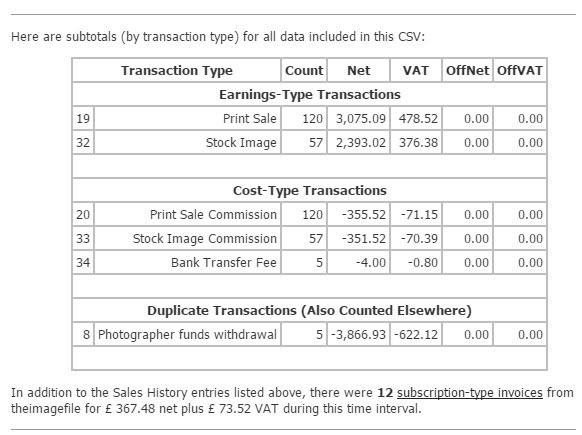 This would be useful for members who generate a vast majority of their sales invoices through theimagefile and wish to add the remaining few external invoices here for tracking. This way all the invoices will use a consistent format and can be reported together. Of course this is completely optional. If you need a copy of any invoice, sales or purchase, just click the sales ID number in your sales history. Transaction ID numbers ending with .L indicate it is the lab cost-of-goods invoice, whilst transaction ID numbers ending with .C indicate it is a commission invoice from a Worldpay transaction. For obvious reasons we can not advise you on any tax or accounting matter, and advise you to contact a qualified accountant or your local Tax Office for advice.